As we decode dragons, we might recall that it was on this date in 1542, with Pope Paul III’s papal bull Licet ab initio, that the Roman Inquisition formally began. In the tradition of the medieval inquisitions, and “inspired” by the Spanish Inquisition, the Roman Inquisition gave six cardinals six cardinals the power to arrest and imprison anyone suspected of heresy, to confiscate their property, and to put them to death. While not so much in the prudish spirit of Savonarola’s “Bonfire of the Vanities,” the Roman Inquisition– which lasted in the 18th century– was ruthless in rooting out what it considered dangerous deviations from orthodoxy. Copernicus, Galileo, Giordano Bruno, and Cesare Cremonini were all persecuted. While only Bruno was executed, the others were effectively (or actually) banished, and in the cases of Copernicus and Galileo, their works were placed on the Index Librorum Prohibitorum (the Catholic Church’s Index of Forbidden Books). Designer Yanko Tsvetkov is a man of many projects. The maps above are an excerpt (from an excerpt) from his recent book Atlas of Prejudice, Volume 2. 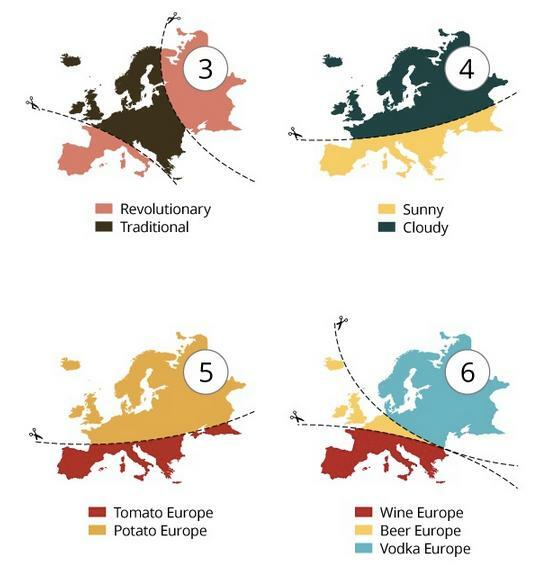 See all 20 of his painfully-funny dissections of Europe here; then browse through more of his wonderful work. As we stuff our backpacks, we might recall that it was on this date in 1963 that Josip Broz Tito was named President-for Life of the newly re-named Socialist Federal Republic of Yugoslavia. The Yugoslav state had been during World War II; it was a socialist state, a federation made up of six socialist republics: Bosnia and Herzegovina, Croatia,Macedonia, Montenegro, Serbia, and Slovenia. (Serbia included two autonomous provinces: Vojvodina and Kosovo). 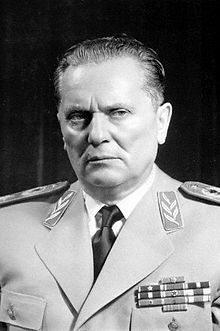 Tito had served as Prime Minister of the Federal People’s Republic of Yugoslavia from it’s formation; he had become the first President of Yugoslavia when that office was created in 1953. Initially aligned with Stalin and the East, Yugoslavia declared itself non-aligned in 1948. It refused to participate in the Warsaw Pact, pursuing instead it’s own brand of market socialism, sometimes informally called “Titoism.” Steady increases in economic and political freedoms helped Yugoslavia’s economy grow, and made the country far more humane than other Socialist/Communist regimes. At the same time, in devolving more power/autonomy to the regions– originally separate countries– that made up Yugoslavia, it sewed the seeds of the Balkan conflict that began to kindle on Tito’s death in 1980.